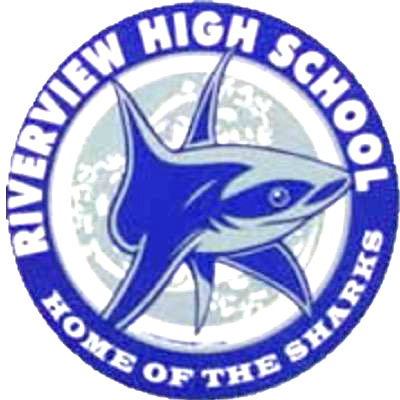 RIVERVIEW — Sharks baseball coach Ronnie Rodriguez heads down the stretch, still hoping for a diamond playoff berth. Riverview had a big early week game at home with Lennard on April 9. Another home game and District 6 contest with Durant followed on April 10. The Sharks then go on the road to face Plant City April 11 and Strawberry Crest on April 16. Three more road games follow before the Sharks return for the last two games of the season at home: Alonso, on April 27 at 10 am, and Leto, on April 30 at 7 pm. Last Friday, the Sharks broke out the heavy lumber, pounding winless District 6 foe East Bay, 11-1, in a mercy game. The rout of East Bay left Riverview at 3-2 District and 9-5 overall. The Indians are in the District 6 cellar with an 0-5 mark and 0-12 overall. East Bay could only muster two hits, by sophomores DeShaun Manuel and Ethan Sillart, with a walk by senior Nick Diaz, producing the lone EB run in the sixth inning. East Bay pitching was also no match for the Sharks bats as senior Bubba Herrick pounded out 2 hits, scored 2 runs, hit his first high school homer and had 5 RBIs for a career night. Junior Mac Jorgensen was a perfect 3 for 3 at the dish and scored three times. Seniors Ben Migliarese and Dylan Besnier each had 2 hits and 2 runs scored. One of Besnier’s raps was a three-run round tripper. Seniors Zachary Hawkins and Cameron Vigh each collected a hit, as did junior George Coulson. The Sharks knocked out a total of 12 hits. Junior Tyler Misla picked up the victory on the mound, as he yielded only 2 hits in five innings of work. Migliarese mopped up and surrendered the lone Indians run in the last inning. Riverview was coming off a disappointing 2-1 loss to District leader Bloomingdale on April 3. The Bulls win at Valrico pushed their District 6 leading record to 4-0 and to 11-3 overall. Bloomingdale eked out the win, 2-1, in the bottom of the last inning(the seventh), after tying the game in the fifth. The Sharks took the early lead in the third with Ben Migliarise’s triple that chased home Macalister Jorgensen. It was the only hit Riverview managed off three Bulls pitchers. The Sharks received good mound work from senior Brendan Herrick, who allowed only one earned run on six hits. Herrick struck out 8 and walked 5 in 6 innings, until being relieved by senior Kyle Knees, who took the tough loss.